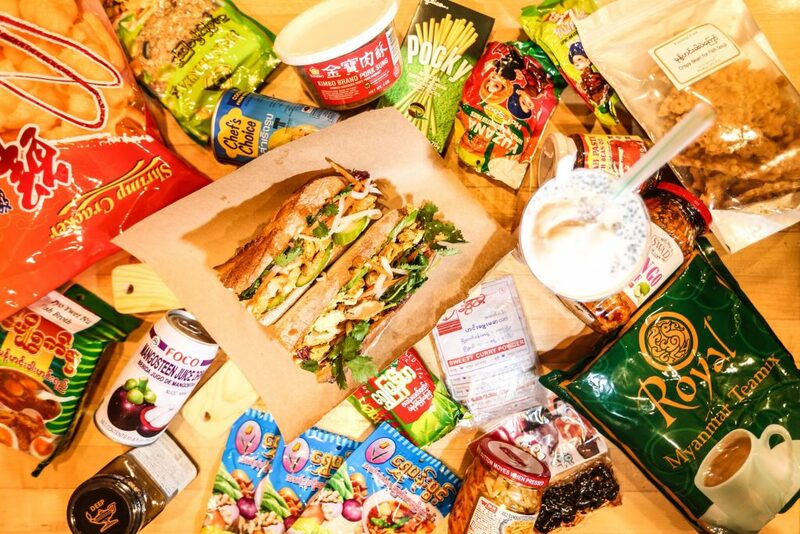 “After a year and a half of serving up falooda and noodles inside Union Market, the Toli Moli team of Simone Jacobson, Jocelyn Law-Yone, and Eric Wang prepares to open a cultural hub celebrating the spice diaspora: Toli Moli Burmese Bodega. Aiming to serve chefs and home cooks alike, the Burmese Bodega introduces groceries to Toli Moli’s offerings. Spices, snacks, and harder-to-find ingredients from South and Southeast Asia will fill the shelves. Visitors can look forward to new Burmese and Burmese-inspired dishes from Owner and Chef Jocelyn Law-Yone, including Burma Toast (bread topped with a fried egg and house-made chutney) and sandwiches like the chicken tandoori or Chinese sausage and egg made with french bread from Lyon Bakery. Toli Moli’s signature faloodas (South Asian dessert snack drinks) will remain a staple of the menu. The space serves to honor the bodega legacy of New York’s immigrant communities, while celebrating current and local Asian American entrepreneurs, chefs, and makers. Locally made items like Misfit Juice and Z&Z Za’atar will be found on shelves beside more traditional fare. In addition to food and groceries, the bodega will carry household necessities ranging from tampons and diapers to Asian beauty products and pain relievers. The transformation of the space by Alison Beshai of Formfunction Studio added the vibrant colors of Burmese markets, and an organized chaos to the hundreds of products on the shelves. Pop-ups will fill the bodega with new culinary experiences, including Sri Lankan rotis from Short Eats on December 9th, and Tibetan dumplings from Dorjee Momo on December 30th. An ongoing collaboration with Duende District, a roving bookstore by and for people of color, will fill dedicated shelves with literature, cookbooks, and magazines by Asian, Southeast Asian, Asian American, and Middle Eastern writers. To stay connected to community needs, Toli Moli has introduced an online community survey– a permanent fixture that will be used to gauge customer interest in new products, understand shopping and cooking habits, and create the best possible guest experience for everyone.